Apple iPhone owners that need to be able to keep their expensive smartphone protected from water, dust and sand may be interested in a new iPhone waterproof case that has been created called the driPhone. 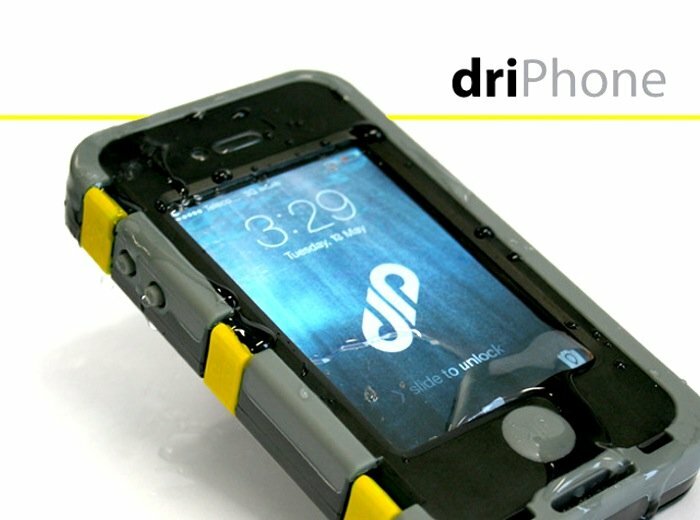 The driPhone has been created Hayden Crowther based in Hamilton, NZ to offer iPhone users a quick release waterproof case that supports both the older iPhone 4 and 4S and the new generation iPhone 5 and 5S devices. The driPhone project is currently over on the Kickstarter crowd funding website looking to raise enough pledges to make the jump from concept to production. So if you think driPhone is something you could benefit from, visit the Kickstarter website now to make a pledge and help the iPhone waterproof case become a reality.